This arrangement is SOOOO fun! 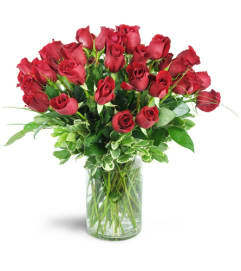 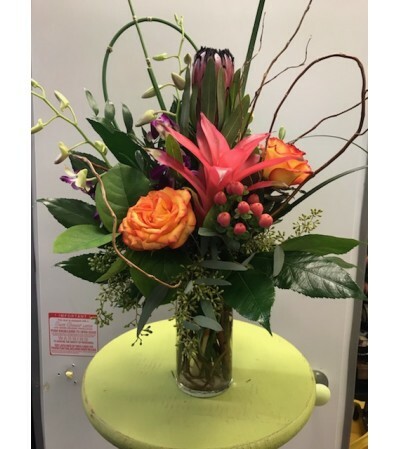 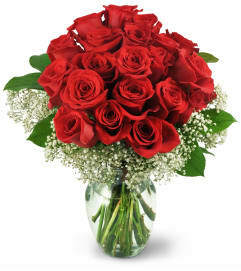 The picture shown is the standard version, if you chose to upgrade your arrangement, it will be fuller with more flowers. 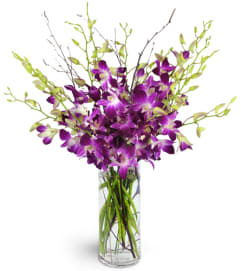 Flowers, colors, ribbons and container are all subject to change due to availability of products and seasonal exceptions. 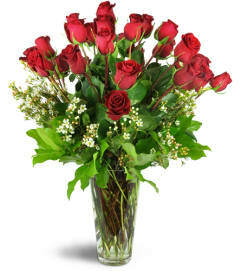 We will make your arrangement as close as possible to this picture.